HK: What is the testing schedule? Testing is continuing following the Farnborough International Air show involving Eurofighter, BAES and the Euroradar partners. It is planned to align to anticipated customers’ requirements for production systems. What is Selex’s current experience of designing and building fighter AESA’s? 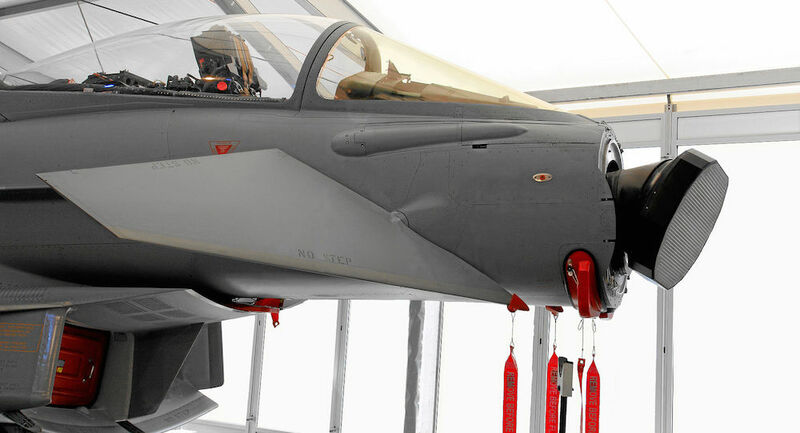 Selex ES has over 60 years of Fire Control Radar experience from the AI23 radar on the Lightning aircraft to present Captor-M and Captor-E radars for Eurofighter Typhoon working with the EuroRADAR Consortium. The EuroRADAR Consortium is led by Selex ES (UK) and in partnership with Selex ES (Italy), Airbus (Germany) and Indra (Spain) has invested heavily in Active Electronically Scanned Array (AESA) Radar over the last 16 years. During that time a number of Technology Demonstrator Programmes (TDPs) have been completed. When will an operational radar be completed? The operational radar is planned to be completed to meet the anticipated customers’ requirements. 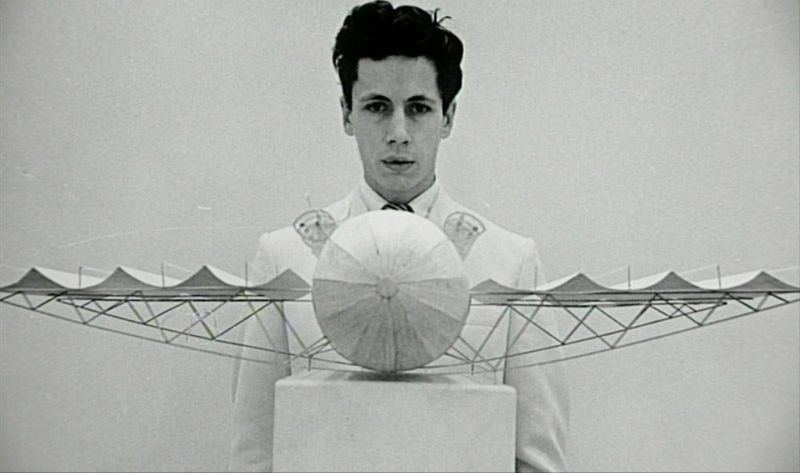 Flying machines, such as some of the works by the Belgian sculptor Panamarenko, will be possible to detect at long ranges if the Captor-E enters service. When do you expect to see squadron service? This will be dictated by the customers’ requirements for entry into service either as retrofit of the existing best-in-class M-Scan radar or as fitted to new aircraft procurement. What percentage increases over Captor will the radar offer in terms of search and tracking ranges? This information is classified but Captor-E will offer increased range performance, extended missile guidance, faster detection and tracking of multiple targets. In addition, it is expected that Captor-E will significantly improve accuracy and reduce track latency, especially against manoeuvring targets due to the extreme beam agility inherent in AESAs. How many transmitter/receiver modules will it have? Will it require more or less maintenance than the Captor-M? The exact figure is classified but Typhoon has a large radome which does allow for a high TRM count. This increases both transmitted and received power which provides a significant competitive advantage in maximum detection range and other radar capabilities over the majority of other fielded AESAs. Captor-E will have reduced life cycle costs. Mechanically scanned arrays by design place extreme stresses on their structure and motor to rapidly reposition the antenna between alternate edges of the field of regard. The majority of this beam repositioning is now completed electronically; the much-reduced mechanical demands on the repositioner and the robust mechanics of its novel design should ensure far less maintenance. In addition, the avionics in the rest of the radar benefit from newer technology and excess processing power. Will it offer superior detection range to RBE2 AESA and by what margin? We believe that the large power and aperture available to Typhoon offers superior detection ranges; indeed, during Flight Evaluation Trials several evaluating nations have already commented that Captor-M invariably detected targets at significantly greater ranges than RBE-2. Captor-E should enhance detection even further and improve that significant tactical advantage. If you combine that power and aperture with the innovative repositioner providing a Wide Field of Regard of ~200 degrees you have an air combat-decisive advantage. Our competitors and potential adversaries who field a fixed plate antenna with a field of regard of only ~ 120 degrees are not only stuck with the legacy tactics associated with a mechanical radar but additionally will have significantly reduced power and tracking at the edges of that field of view. Captor-E will revolutionise air combat by offering our pilots the option to ‘jump into the notch’ whilst maintaining tracking on a hostile aircraft; instantaneously reducing an adversary’s missile range and degrading his radar picture. This will offer a significant operational advantage over typical fixed plate AESA radars such as RBE2 and the APG series. What modes will it have? The radar will have a comprehensive suite of air to air and air to ground waveforms supporting a flexible and powerful concept of interleaved multi-role operations implemented through an efficient radar resource management system as well as high resolution modes for surveillance and reconnaissance. Will it have aggressive jamming and hacking modes? Can you explain this more. I am sure that you will understand but unfortunately this information is classified. How much, and what, testing has been done on the radar so far? The Full Scale Development programme has been progressing to schedule, the precise details are private to the ER partners and EF stakeholders only. Why has it not a large flying testbed? Various Technology Demonstrators such as AMSAR and CAESAR have been flown on ‘hack’ aircraft and CAESAR flew very successfully in May 2007 on a DA5 Typhoon. The experience and trials data gathered during these programmes has led to improvements in modelling and simulation techniques which allows industry to develop complex equipment on the ground and reduce the burden on flight test programmes. Would multi static or similar operations be possible with a Captor-E: could the radars of two Typhoons work together to detect low RCS targets? I am sure that you will understand that the details supporting detection of low RCS targets is classified but EScan technology does provide the capability for enhanced cued search and track both actively and passively. 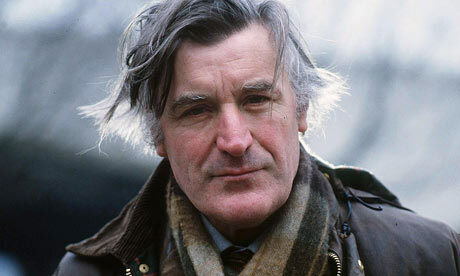 Poetry, such as the works of Ted Hughes, cannot be be produced by the radar, nor is an upgrade to address this planned. How similar will the set be to the Gripen E/F’s radar- to what extent is research pooled? Captor E and Raven are completely different radar systems. Captor-E for EF Typhoon is provided by the Euroradar consortium for which Selex ES is the lead contractor working with Selex ES Italy, Airbus Ulm and Indra Spain. Raven ES-05 is provided solely by Selex ES. Will the new radar be heavier and use more power than Captor-M? The Captor-E system is heavier than the existing Captor-M, all provisions both mechanical, electrical and cooling are provided to allow fitting to T3 aircraft and T2 aircraft retrofit. The benefit of Typhoon’s excess thrust is that the extra weight is not expected to have an impact on performance; as evidenced by Typhoon’s agility with 6x1000lb Paveway IIs. How long would it take to fit a Captor-E to a Typhoon built with Captor-M, what changes would have to made? How much would the operation cost? It is not a lengthy process and provisions are in place to support this. How much will it cost per unit? This is commercial information private to stakeholders and customers. In what ways is an AESA with a repositioner superior to a conventional AESA? 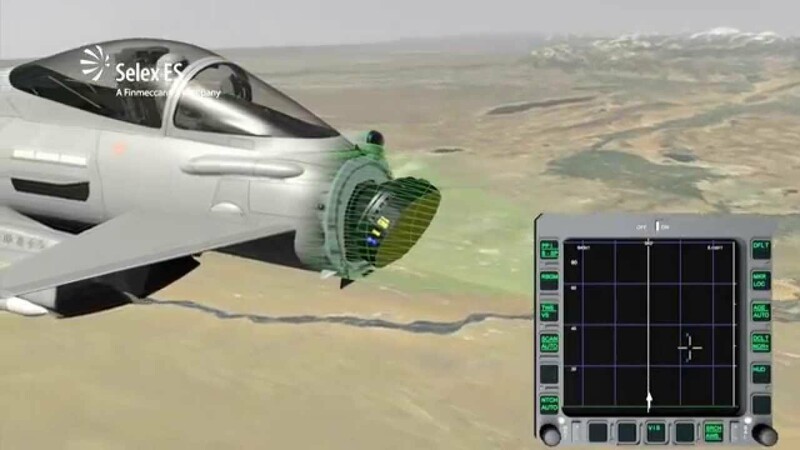 In addition to the significant air combat advantages discussed above the innovative re-positioner extends the radar’s field of regard to ~200 degrees which is some 50% wider than traditional ‘fixed plate’ AESA radars. The wide field of regard provides significant benefits in both air to air and air to ground engagements allowing the Typhoon to turn away from the oncoming threat whilst continuing to track and support weapons engagements. The radar can carry out high resolution Synthetic Aperture Radar (SAR) imaging whilst maintaining a safe distance from enemy forces.